Through a diverse body of work spanning multiple mediums and themes, Mia Cross explores color, the human figure, and narrative. Her oil paintings, and in particular her portraiture, demonstrate a fixed fascination with pattern and skin. When painting, Cross pays special care to creating engaging color relationships, sometimes harmonious and sometimes dissonant. Cross stitches her colors together like a quilt, often laying them down with a palette knife and leaving them untouched for the remainder of the painting process. Her recent work explores where the figure begins and ends when immersed in its surroundings. Mia Cross launched her career in 2014 following her graduation from Boston University with a double major in painting and sculpture. In 2016 she received the “Emerging Artist Award” presented by the Danforth Museum in Framingham, MA. Cross has been the recipient of multiple grants, including a VSC Boston University Alumni Grant, the Blanche Colman Grant and a Mass MoCa Match Grant. Recent residencies include the Facebook Artist in Residence Program in Cambridge, MA, Sasaki Collaboration Residency in Watertown, MA, the Vermont Studio Center Residency in Johnson, VT, and the Goetteman Residency at the Rocky Neck Art Colony in Gloucester, MA. Her work has been featured in numerous galleries and exhibits throughout New England and New York. Her work lives in private collections in Italy, Georgia, England, and throughout the United States. Cross’ mural project “We the People II” can be viewed on the Rose Kennedy Greenway in Boston MA. 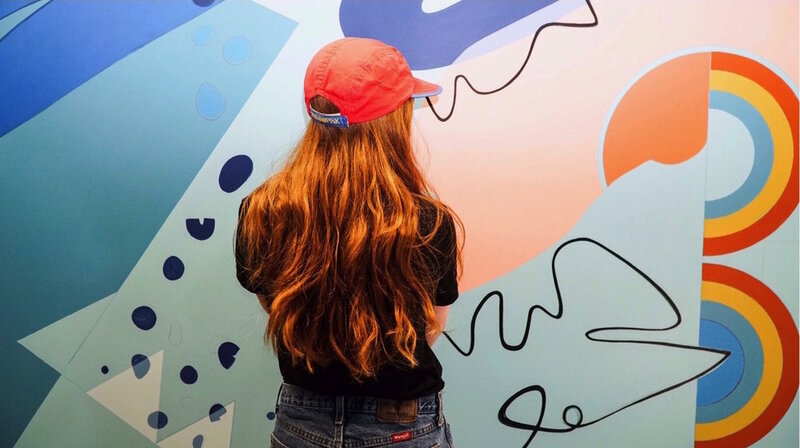 Cross has recently collaborated with Red Bull, Tender Greens, and Facebook to bring her vision to their walls. She is a member of Fountain Street Gallery and exhibits her work regularly at her studio at 450 Harrison Ave in the SoWa art district of Boston. She looks forward to her upcoming solo show at the Trustman Art Gallery of Simmons College in the fall of 2019. Email Mia for a price list of available work, to inquire about commissions, or to plan a studio visit. * Currently accepting commissions for fall 2019. Click here for general commission pricing. Sign up for Mia's mailing list to learn about new work and upcoming shows.